Reformed and now sobered up, Aerosmith resurrect their career with the help of producer Bruce Fairbairn and start the climb back to the top of the music mountain with Permanent Vacation. The album features a variety of styles and attitudes, from the simple rock 'n' roll Beatles cover I'm Down to the barely produced deep south harmonica and dusty dog of Hangman Jury, passing through the grandiose ballad Angel, and touching base at the crystal blue tequila swimming pool of Permanent Vacation. As can be expected there are a couple of mis-steps, with neither the aimless Simoriah nor Hangman Jury hitting their intended targets. But in among all the experimentation, Aerosmith stumble onto what works best: lavishly over-produced songs, prominently featuring Tyler's sassy vocals, Perry's crunching guitars and most importantly, an energetic 5-piece horn section (including Fairbairn) providing boisterous support. And so Rag Doll, Dude (Looks Like A Lady), and Girl Keeps Coming Apart use this formula to luscious effect. Rag Doll gains power with a deliberate pace and a steady Joey Kramer beat that Tyler uses to saunter back to centrestage. Dude is more adventurous, the horns all the way to front, the tempo faster, Tyler more impassioned and Perry enjoying a busy solo. Girl Keeps Coming Apart is a sly track, providing plenty of big stage drama before letting its hair down and rocking out for the final minute, the horns trying to maintain some semblance of order but Perry just insisting on going all metal on them. 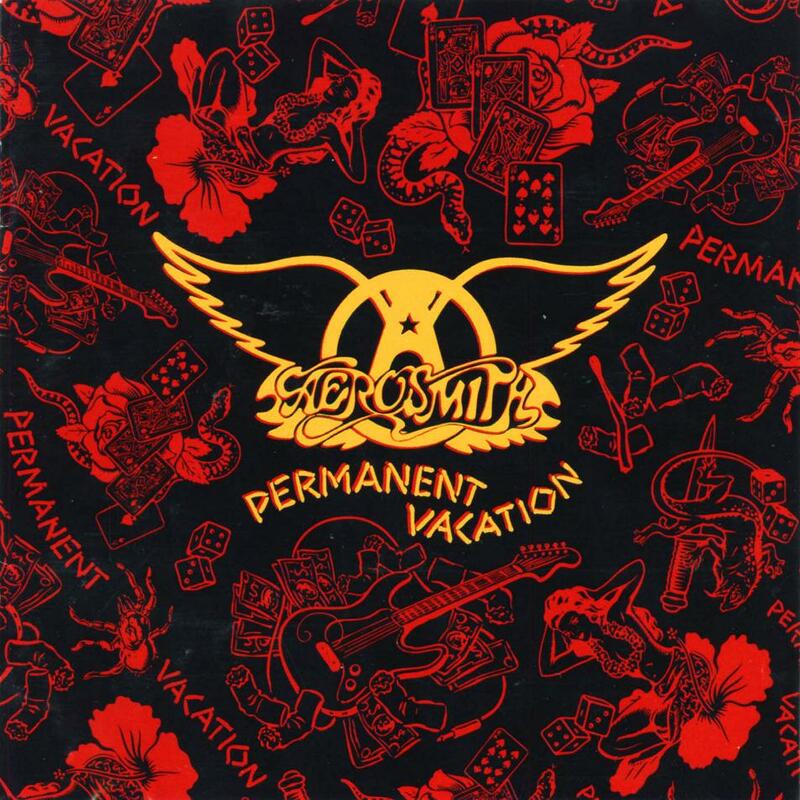 The album closes on the thoughtful instrumental The Movie, which, yes, can only ever be imagined as a soundtrack for a film, and it's a testament to Aerosmith's new focus that they infuse this simple theme with substantial passion, Perry's guitar at its most soulful. 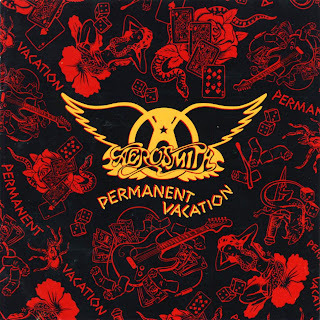 Permanent Vacation is honest rock with metal shadings in among all the other colours, Aerosmith choosing to extend their career by positioning themselves in radio-friendly and video-ready territory. It is far from pure metal, but the metal world was always richer with Aerosmith than without. Engineered by Mike Fraser and Bob Rock. Mixed by Mike Fraser.